Founded in 1992, San Francisco's New Century Chamber Orchestra is one of the world's few classical ensembles that lacks a conductor. The 19-member group is comprised of Bay Area musicians, as well as artists from as far away as Europe. Without a central leader, the orchestra makes decisions in a collaborative environment, working together to plan each season's programming, which often includes commissioned pieces and new works. 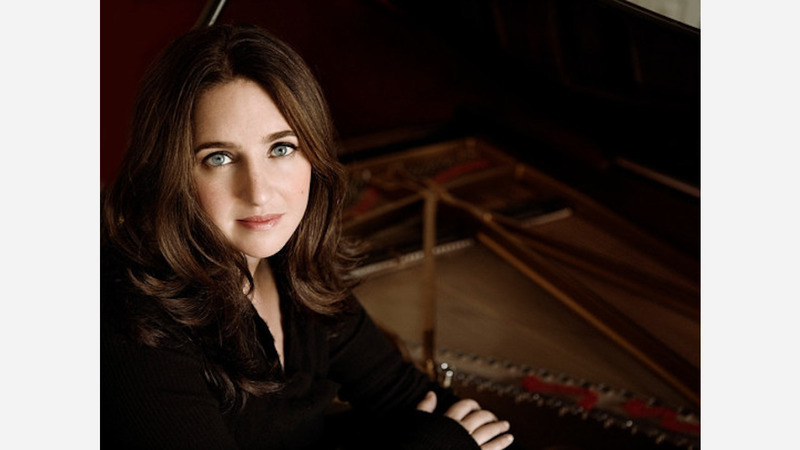 Tomorrow, the orchestra performs the West Coast premiere of Philip Glass' third piano concerto, commissioned for New York-based soloist Simone Dinnerstein. Glass, a minimalist who has become one of America's best-known composers, is still producing new works at age 81. Dinnerstein, a frequent visitor to the Bay Area, will also perform Bach's G minor concerto, led by guest Concertmaster Zachary DePue. The program also features Henry Purcell's Chacony in G minor (arr. Britten), Bryce Dessner's Aheym and Francesco Geminiani's Concerto Grosso No. 12 in D minor. 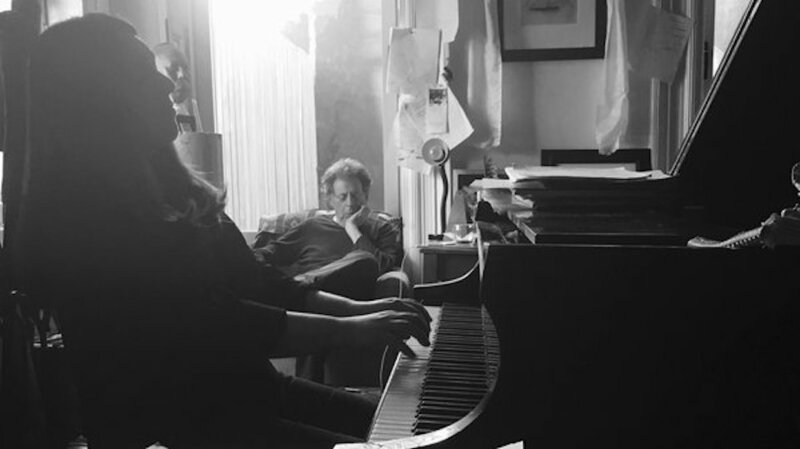 Philip Glass and Simone Dinnerstein at work. 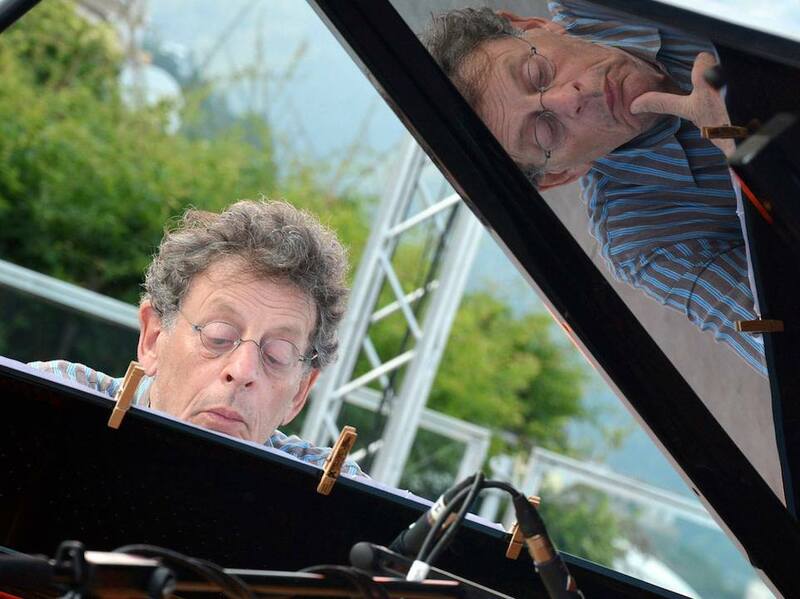 How would you describe Philip Glass' third piano concerto? I think the music is very lush, very meditative in many ways, and extremely personal. It's a very deep piece of music and what it is expressing is extremely vulnerable. He really wrote the piece for me, and he was thinking about the way that I express myself artistically, and about that intimacy that I tend to find in a lot of music. He created a piece of music that really plays to these qualities. There are three movements. The first one is quite lyrical and maybe the most traditional of the three. It has the sense of a return to itself, as in a sonata form, with an exposition, a development, and a recapitulation. It's not exactly the same, but it has an echo of the traditional sonata form of the first movement of a concerto. The second movement has the feeling of a set of variations. It's a sequence of shorter sections which all seem to be quite linked to what's presented in the beginning. The third movement is very daring. It's quite slow, it has a kind of drone that happens throughout most of it. It's slow moving with a large repeat. He dedicated that movement to Arvo Part and he really felt influenced by his music in this third movement. You're playing a doubleheader with a Bach Concerto. How do the two pieces relate to one another? When I commissioned Philip Glass to write this concerto, my idea was that it would be paired with the Bach G minor concerto. I wanted the new concerto to be written for piano and string orchestra. It's an interesting combination, and there are not many other concertos written for piano and string orchestra since Bach's time. One of Glass's other piano concertos is written for that combination, but it's not done as much. I thought it would be interesting to have that commonality and for him to know that what he was writing was going to be played with Bach's concerto. Even though the two concertos don't have a direct link, there are harmonic relationships between the two. He told me that Bach music is inside a lot of his music. He studied so much Bach, it's part of him. Whether or not you're aware of that, that's part of his own makeup. As a pianist, I feel that playing Bach has permeated everything that I play. I'm always thinking about line and counterpoint and the interplay between different voices, the idea of there being a larger form and architecture that is generated by smaller patterns, that is very much part of Bach's music, and I guess a clarity that is present in his music, that I try to find in all music that I play. 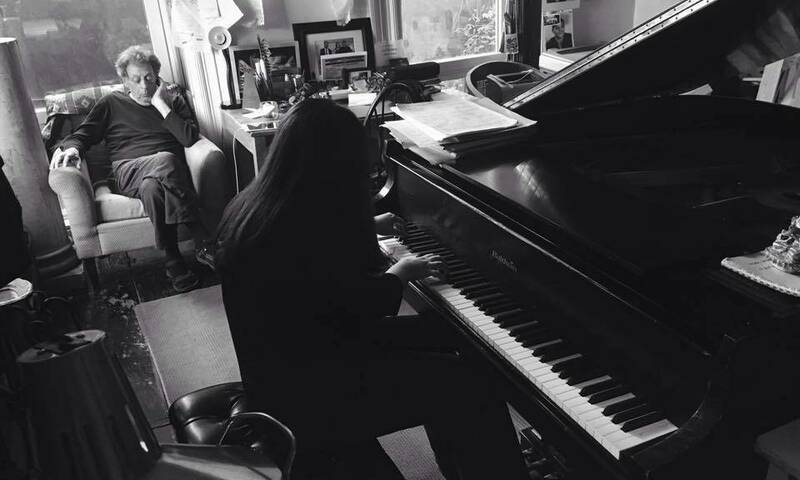 Dinnerstein commissioned Glass to write the concerto. Why do you think Philip Glass attracts a younger audience than the typical classical music concert? I think there are a lot of misconceptions about Philip Glass' music. What I find is that the most traditional audiences, when they come to a concert where I'm playing Glass, they tell me: they didn't expect the music to sound like that, they had a completely different idea of the music. They didn't think it would be beautiful or relating to other older music. I think that people tend to think of Glass as being more separated from a history of music that they're interested in. That he created a new language that just came out of an egg, out of nowhere. I have been playing his music in a recital program juxtaposed with Schubert, their music relates incredibly well together. Many older audience members have come up to me and said they never thought of a connection before, but there, they could hear it. Younger people are more familiar with his language, because his language has influenced so much popular music, film music. Other younger composers have grown up listening to Glass, it's become part of our musical world. You both live in New York; how closely did you work with him? He's not so particular about the notes, he's more interested in the form. He would be upset to leave out a repeat, but I don't think he wouldn't be so upset if the note is not exactly what he thought of. I could be misstating, but that's the sense I get from him. Glass is prolific in same the way that Haydn was. He's writing constantly. I don't feel he thinks that each piece that he makes has to be at the forefront of a discovery of form. He wouldn't say that. But he has certain ideas about balance and form that strike him as working or not working. When I first played for him the entire concerto in his studio without the orchestra, the third movement was not working for him architecturally. Tomorrow's concert begins at 8 p.m. at the Herbst Theater (401 Van Ness Ave.) Tickets are available online and at the door.